A forgetful killer can be a dangerous thing. Noh Ji Wook (Ji Chang Wook) is a prosecutor who changes jobs to become a private attorney at a powerful law firm. Meanwhile, Eun Bong Hee (Nam Ji Hyun) is a prosecutor trainee who works with prosecutor Cha Yoo Jung (Nara), Ji Wook’s ex-girlfriend who desperately wants to win him back. 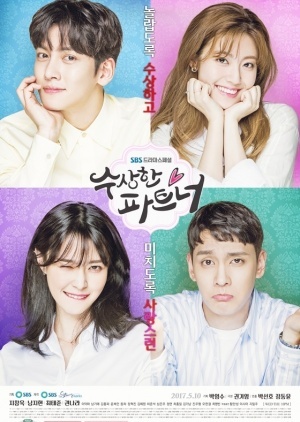 Attorney Ji Eun Hyuk (Choi Tae Joon) is a longtime family friend of Ji Wook’s but harbors some resentment about their different family circumstances. When a murderer strikes, Bong Hee suddenly finds herself as a suspect in the murder. But it appears the real killer has amnesia, and the killer keeps coming after Bong Hee and Ji Wook. Can the two team up to catch the forgetful killer?